When it comes to being camera ready for the red carpet, A-list celebrities seek out the assistance of internationally renowned facial artist Dr. Joseph Hkeik, medical director and founder for All Saints Skin Clinic in Australia. For more than a decade, Dr. Hkeik been one of the most sought after experts on cosmetic enhancements that showcase his client’s naturally radiant beauty for those picture-perfect moments when camera ready skin is mandatory. Dr. Hkeik has an innate passion for the arts, with his career path evolving to embrace both art and medicine. As a teenager, he turned to sculpture, focusing on the human form via three dimensional figures as he created contours of faces, intricate elements of the features and how that came together to create personal perfection. While earning his Bachelor of Medicine and Bachelor of Surgery degree from Sydney University, he also attended the National Art School to further his passion for art and beauty, which combined made him the creative board certified expert he is today. 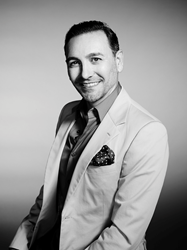 Known as the ‘Michaelangelo behind the needle,’ Dr. Hkeik is an international lecturer and instructor in the use of injectables and knows that placement and technique, along with an innately artistic eye, is critical in getting the most natural looking results. At All Saints Skin Clinic, the emphasis is on patient care and comfort, while formulating the best approach for cosmetic enhancement on an individualized basis. With offices in Darlinghurst, North Parramatta and soon Double Bay, Sydney, Australia, All Saints offers the best anti-ageing and corrective aesthetic treatment options to clients from around the world with a personalized, strategic approach to the art and science of facial and body rejuvenation. For more information or to make an appointment, please visit http://allsaintscosmedical.wp3.osservers.net. Follow us on social media at Facebook, Twitter and Instagram.